So, I got back from holiday exactly a week ago and having been down to a little village in Provence called Correns (near Brignoles) I felt a bit silly that I hadn’t made it to Bandol (only an hour down the road). The good news is that we’re almost certainly going back next year and I will make the trip for sure. Hopefully co-ordinated with another visit to the Stade Mayol to see Toulon play in a pre-season friendly as we did this year (vs Stade Francais) and last (vs Clermont). 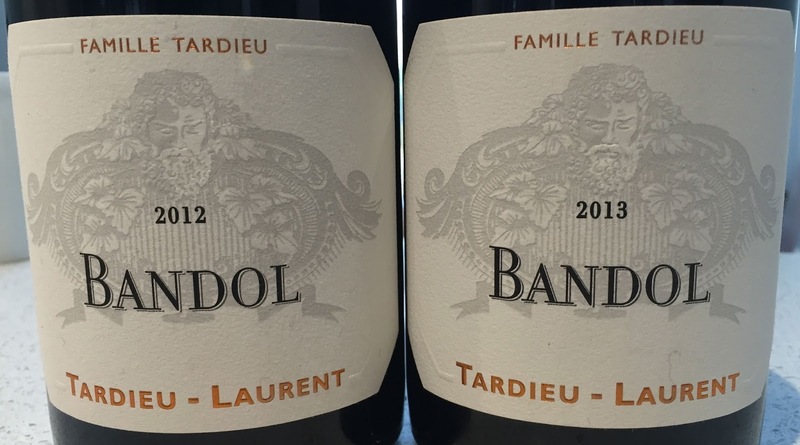 Getting back to the office this week it was time to take an early look at the Rhone 2015 offer we do with Tardieu-luarent (about whom more below) and quickly Bandol popped up in conversation with Mr Hartley…so what better thing to do than follow two tastings I did on holiday – Chablis 1er cru Vaillons three ways and Barolo threeways in France – by having a look at Bandol 2012 and 2013. I bought a bottle of each, got them home, cooled then down a little, did not decant and then tasted (drunk that is) the wines over Friday and Saturday making notes as I went. Here’s a little generic background on Bandol itself. There is a good page on it in “The World Atlas of Wine” as well. In short it is the type of place that makes wines the way I tend to like them made: Old vines, low yields, minimum intervention (but stopping short of what might be called “crafted”, “natural” or “beardy”) and most importantly not raised in lots of new oak. The supplier that Michel and Bastien Tardieu source from looks very like Spike Milligan from the few pics I have seen. This specific wine is 95% Mourvèdre and 5% Grenache (the vines in both being well over 50 years old) on Clay-limestone soils in the “Le Castellet” sub region. 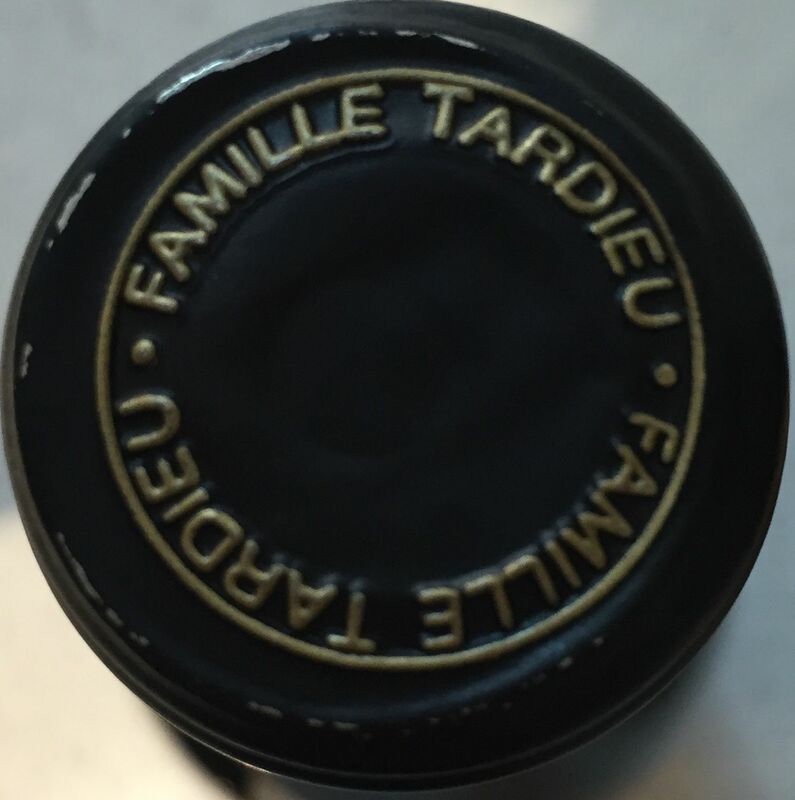 Established in 1996, Michel Tardieu is a négociant-éleveur, buying wines selected according to the quality of the vineyard, in their raw, fermented state. The wines, from many different but not all communes of the Rhone (and sometimes slightly beyond, as in this case) undergo malolactic fermentation, generally under the watchful eye of Michel and increasingly by his oenologist son, Bastien. They look after the maturation process, blending and sale of the wines. Logically, given that the accurate translation of terroir and vintage is fundamental to the Tardieu-Laurent mind-set, intervention is minimal. None of the wines are fined and only a few receive a very light filtration. Top quality ingredients are, however, absolutely essential. To that end, a huge part of Michel’s and Bastien’s work involves building long-term, mutually beneficial relationships with a network of low-yield producers (who’s identities are never revealed or referenced), who own specific, top quality parcels of largely old vines. Michel and Bastien know, by heart, both the vineyards and the specific parcels within those vineyards, which are of interest to them. 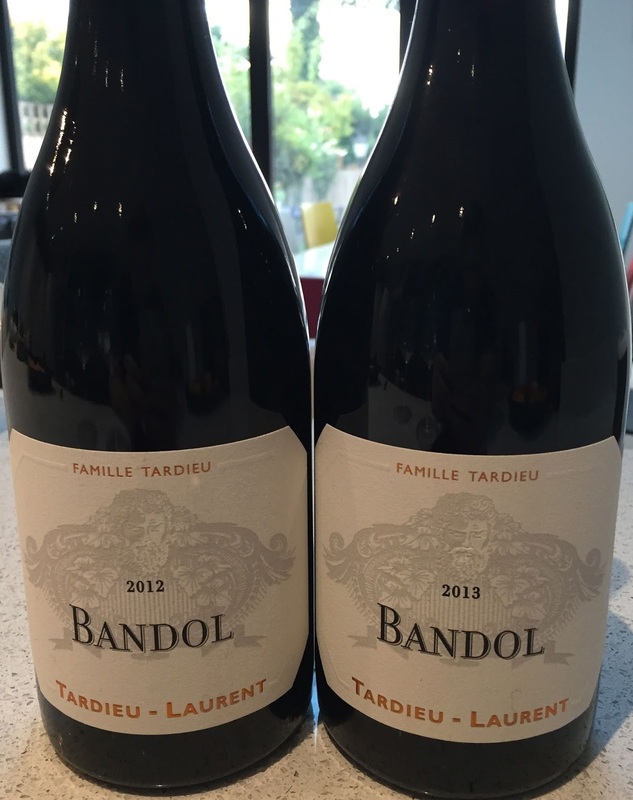 (Note to self: don’t buy a car from either of them – Bandol to Cote Rotie is a long way!) Most of the vines selected are naturally low-yielding old vines of 50 years of age, regularly older. Often the size of the individual parcels is too small to be independently viable, but, by buying a number of them, there is the wherewithal to produce a workable blend. The naturally restricted volumes result in increased complexity and intensity. There have been times when the supplier in a certain area has been changed, most recently with Crozes-Hermitage which was good but is now (from 2012 or 2013 – I can’t remember exactly which) is truly exceptional. On a purely personal note, two of the wines from Tardieu that I always look to buy each year are the Chateauneuf-du-Pape (CNDP) Cuvee Speciale and the CNDP Blanc VV. Of the latter I have a four vintage tasting, 2011-2014, that I will be doing soon and writing up. 2012 – Deep fully colour with saturation but not a glossy appeal to be honest both wines at this young stage have a similar look with a very outer rim of cherry. The initial reaction on the nose is of savoury density balanced with freshness from slightly muted black cherry fruit. There is a taught-ness and good complexity. Moving to the palate, which is largely consistent with the nose, there is a density but not a heaviness, the fruit is dark but with a hint of cranberry freshness in there. The tannic structure is very proper by which I mean the tannins are not polished and caressed with new oak or glossiness, quite the opposite they are ripe but properly grippy and just a shade drier that one is used to. This is a good uncompromising characteristic. Good start. Young but bold. 2013 – As mentioned the colour is largely constant with the 2012. The fruit here is just a shade redder but still in essence dark, there is a similar crunchy and proper tannic structure. This is less muted from a fruit perspective than the 2012 which often leads one to say it is less serious but lets wait and see. If after tasting at this stage someone said “right you can only drink one bottle this evening” it would be the 2013…just. 2012 – Still the more serious of the pair, a little saline, darker fruit than the 2013. This has a slight sternness as well as the structure having mellowed a little. I get the impression this will repay cellaring and then be a lovely middle-aged and older wine. Still quite tight. 2103 – A crunchier fruit now, more focusing acidity too, still big but not as dense. The tannins are less dry and more powdery (which I like), there is more vibrancy. As you might expect the differences are more pronounced by now. 2012 – Far more the “animal” of these wines, more grip and grit and more obvious ferrous character, more oxidative and “grunty”. This is crying out for rich food in a sauce, cassoulet would be superb, I like this. It makes me think of northern Rhone as much as anything. 2013 – There is also a slightly ferrous feel here but in a very gentle way and there is a cool fruited element. Much more minerality in a “crushed rocks” fashion. The fruit is a sort of deep red and the tannins have that moreish powdery quality. I find it fascinatingly moreish and complex.